This business belongs to my friends Bryan & Janiece’s son, Brady. He has grown a very successful business there in Kansas City. The poster art he does is wonderful!! I found his building using Google street view. 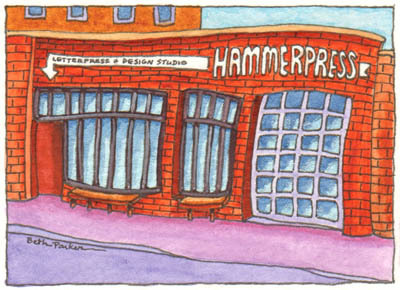 Go check out the Hammerpress website. It’s real eye candy.